You know, I am frequently reminded just how great a writing community there is on blogger, wordpress, twitter, etc. The amount of support that I get from you guys is absolutely wonderful, and I know that I can turn to you guys for any comfort and advice whenever I want. A big thank you to all of you. As my title suggests, I was given an award by Jen over at unedited (Go check out her blog! It's great! ), and I can't even begin to explain how very humbled I am. Well, darn. Now I'm all verklemmt. All I can say is, "Thank you so very, very much." Here are The Rules: Answer the following questions with Single Word answers then pass this along to 5 other bloggers. Make sure you let them know about it though. All of these are great blogs, and you should check them out. For serious. Once again, many thanks to Jen for this award. While you're here, would you mind stopping over at the previous post, Another Nano Update... Opening, and give me your thoughts? Any sort of constructive criticism would be very much appreciated. Your a doll! And you totally deserved this award! I was more than happy to give it to you :) Look forward to more awesome posts! Thanks for the award!! So excited. Don't know where you found me but I'm glad you did, because now I'm following YOU. Great writerly tips you have on there! I especially like the lisserve one! LOL. I'll definitely be back. Congrats on the blog blingage! PS Your photo is precious. :) Thanks for visiting, and write on! Congrats, Stef, and also to your awardees! 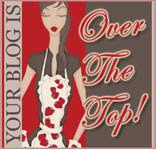 You put so much energy into your blog it's amazing! I'm speechless. Thank you, it's so very sweet of you.